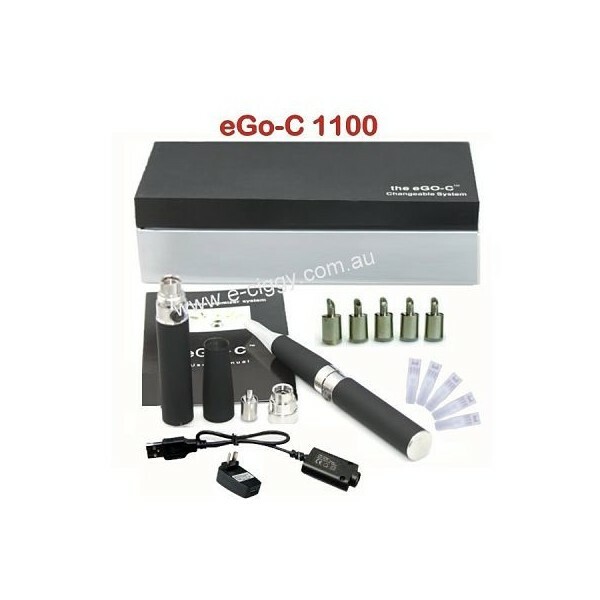 The eGo-C 1100 provides maximum vapour enjoyment with a long lasting battery. 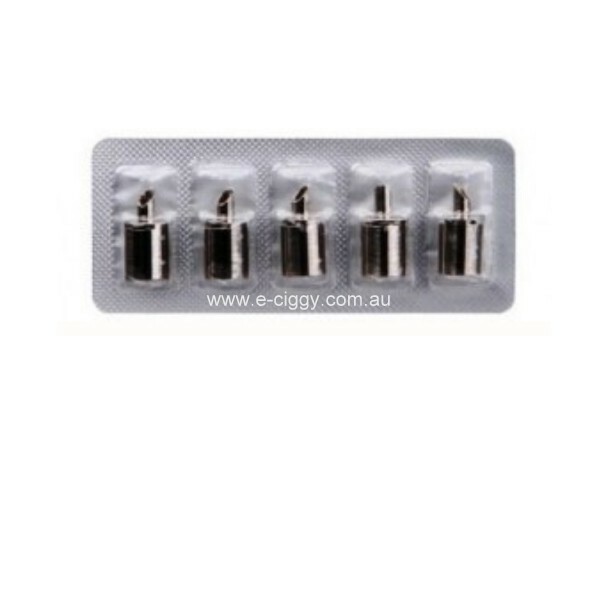 A clean and effective changing atomizer system provides for a quick and easy refill. 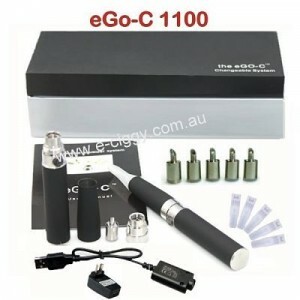 The eGo-C 1100 starter kit comes with everything you will need. Two 1100mAh eGo-C batteries, two atomizers, five atomizer head, cartridges, USB charger, plug and a handy manual to get you on your way to vaping. What’s inside your eGo-C Starter Kit? The growing popularity of e-cigarettes, sometimes referred to as e-cigs, is sending shockwaves across Australia, and causing many people to rethink the manner in which they satisfy their smoking habit. 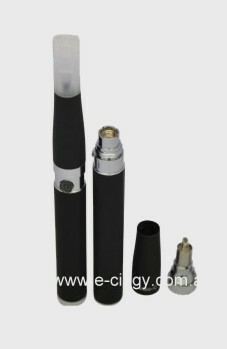 Given the reduced cost and safety attributed to these portable smoking devices, millions of new smokers, as well as those who formerly relied on traditional cigarettes, have now made the switch to electronic cigarettes, making a product that was once considered “nothing more than a fad,” the one of the hottest commodities on the market today. Why are e-cigarettes gaining in popularity? E-ciggies are becoming popular across the country for a number of reasons, not the least of which is the safety and convenience they offer as compared to traditional cigarettes. Many of the people who have switched to the e-ciggy attribute their decision to the health risks associated with traditional cigarettes, which contain tar and other dangerous chemicals that can negatively impact the health of the user. When smoked, these substances are inhaled into the lungs and can ultimately lead to a myriad of medical problems, including heart disease, strokes, pulmonary disorders and cancer. On the other hand, are never lit, and therefore do not produce the smoke that is deemed so harmful by the medical community. Instead they emit a type of non-toxic water vapour, which gives people the sensation of smoking without ever lighting up. Because of medical warnings regarding the dangers of second-hand smoke, the smoking of traditional cigarettes has been banned across the country in most public places, especially office buildings, restaurants and bars. Many states and municipalities have even gone so far as to disallow public smoking entirely within a certain distance of such public dwellings, effectively limiting the number of opportunities smokers have to satisfy their habit. These laws have led thousands of people to experiment with smokeless e-cigs, particularly in places where traditional smoking is prohibited, and many have found that the taste, convenience and affordability these devices have to offer actually make them preferable to regular cigs. For many people, smoking and drinking tend to go hand and hand. In fact, there is a certain percentage of the population that only smokes socially—lighting up only when they are out on the town partying with friends. Consequently, some of the establishments that have been hit the hardest by the new anti-smoking statutes have been places where alcohol is regularly served, including bars, nightclubs and casinos. To combat the prohibitive smoking laws, many party spots have converted their establishments into bars where the smoking of e-ciggies is not only permitted, it’s encouraged. The “Vape Bars” named for the water vapour that is produced when smoking an e-cigarette. Not only do these establishments allow the practice of vaping within their establishment, they also sell e-cigas and the solutions that fill them, available in a stunning array of satisfying flavours and nicotine strengths. Especially popular among the younger set, Vape Bars carry a variety of accessories and tasty e-liquids to satisfy the needs of their customers, ranging from traditional and menthol flavours, to cherry, vanilla, and pumpkin spice. 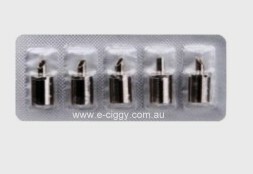 As you can see, the decreased health risks and affordability of e-ciggies, coupled with their growing access and the incredible assortment of satisfying e-liquid flavours, have rapidly led to the popularity of these devices, transforming what many people originally deemed a novelty item into a worldwide phenomenon. Title : Best Starter Kit Ever! 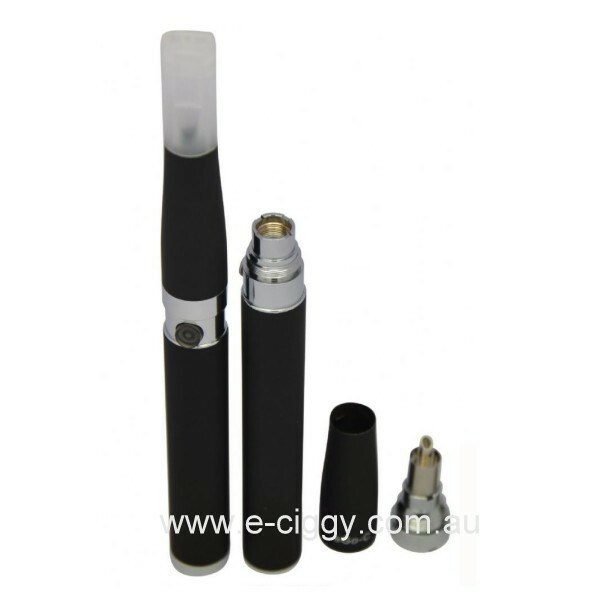 Title : The best e-cigarette starter kit in Australia! Comment : I have triad a lot of starters but this e-cig is the best one! The battery lasts for a long time and vapour is really rich! worth the price! Comment : Hey Mitchum. Yes, it's easy to put together. I've never had a bit of trouble. Comment : Two atomizers = best deal for your money. Comment : I'm from the U.S. and I love this. I bought one while on vacation. Now I get a friend to ship them to me in the states. GREAT STUFF!!!!!!!!!! Comment : I just tried this with the pumpkin spice flavor. Tastes like the holidays. I love it. Title : Is it good? Comment : I have yet to give one a try. How often do you guys use yours? Rating(s) and review(s) : eGo-C 1100 eCigarette Starter Kit - Reviewed by : Jade S - Rating 5 / 5 - Great job!